It’s getting warmer in South Korea. It seems as if we will have an early summer. Today, before heading to my Korean language class, I had a sudden craving for 팥빙수 (patbingsu: shaved ice dessert similar to halo-halo in the Philippines), but I couldn’t find any coffee shop or a restaurant that sells it near the center, so I opted for a cold drink instead. I saw some girls enjoying their bubble tea, so I also got me one. There are a number of bubble tea kiosks in Gangnam station. 365CHA is one of them. Bubble tea is a tea-based drink that originated from Taiwan. It is also called pearl milk tea, because it comes with chewy tapioca pearls. In the Philippines, we call it Zagu or pearl shake. 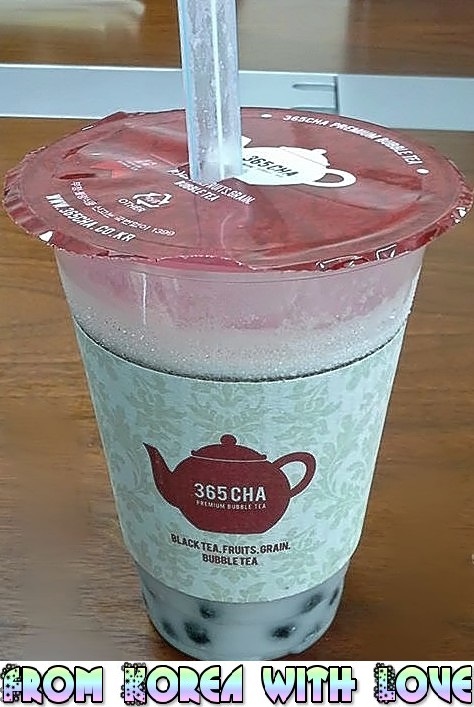 Other names include boba drink or boba ice tea, boba nai cha or zhen zhou nai cha (in Chinese), black pearl tea, tapioca ball drink, BBT (short for Bubble Tea) and PMT (short for pearl milk tea). 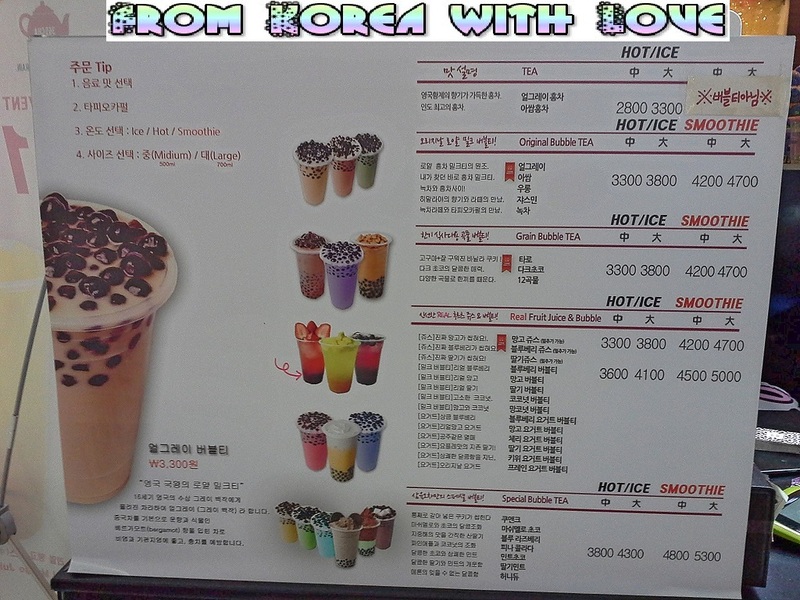 In my country, bubble tea or Zagu, as we call it, costs around 40 to 60 PHP (1082 to 1623 KRW) (97 cents to 1.46 USD) depending on the size and flavor. Here in SK, it’s triple the price or more for a small cup! My choice wasn’t so bad, but I prefer the taste of Zagu. Philippine bubble tea is sweeter, richer and has more tapioca pearls. Perhaps, I’ll try another flavor one of these days. Have you tried bubble tea? What is your favorite flavor?